We’d love your help. 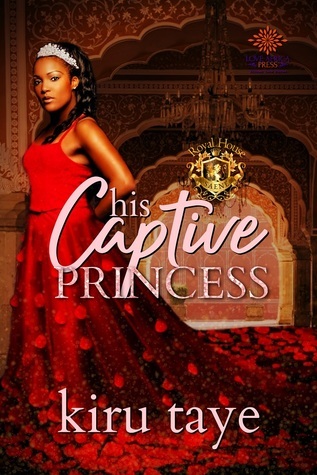 Let us know what’s wrong with this preview of His Captive Princess by Kiru Taye. Until one careless moment knocks her carefully Isha Saene has perfected the act of balancing her life—a celebrated corporate negotiator spearheading an international trade deal that could catapult her country to one of the fastest growing mid-sized economies in Africa, and a loyal First Princess of Bagumi Kingdom set to seal ties with a neighbouring nation through marriage. To ask other readers questions about His Captive Princess, please sign up. Kiru writes sensual stories featuring African characters whether on the continent or in the Diaspora. When she's not writing you can find her either immersed in a good book or catching up with friends and family. She curre As a lover of romance novels, Kiru wanted to read stories about Africans falling in love. When she couldn’t find those books, she decided to write the stories she wanted to read. Kiru writes sensual stories featuring African characters whether on the continent or in the Diaspora. When she's not writing you can find her either immersed in a good book or catching up with friends and family. She currently lives in the South of England with her husband and three children.